Reading is a priority for us. We enjoy reading together and it's something we do daily but I have to admit that it gets a little hard to keep up with our daily reading during the summer. To keep the Lil Divas motivated to read this summer we are taking in part in a few awesome summer reading programs, delving into some fun new chapter book series and enjoying lots of crafts and activities. 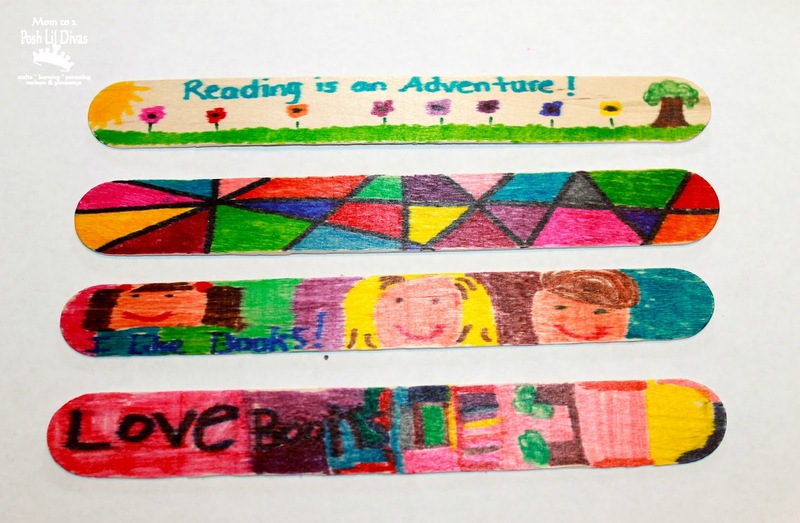 One of the crafts we recently enjoyed was making our very own personalized bookmarks. I wanted to encourage reading and give the girls a chance to express themselves creatively. We all loved how they turned out. 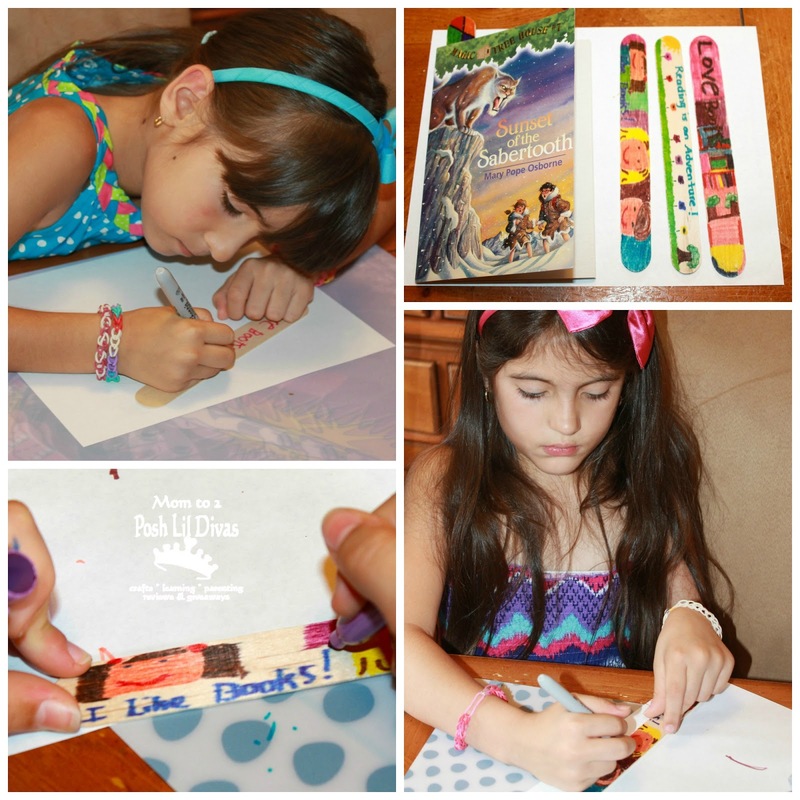 The bookmarks were super to make, each one was unique and it served as great mommy-daughter time because even I made one. 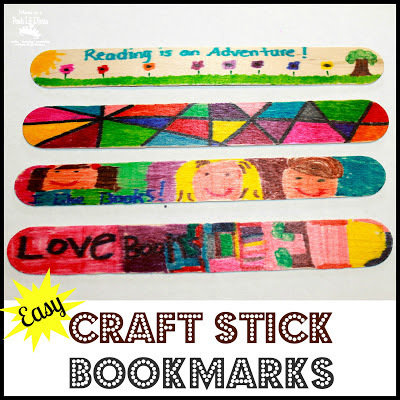 Provide your child with the craft sticks and markers and let their creativity be their guide! The great thing about this craft is that they can do whatever they like - draw a picture, create a pattern, write words, etc. It's entirely up to them. Aren't they fabulous?! We LOVE them and all 3 of us have been making daily use of our personalized bookmarks. What will you & your child(ren) create? Disclosure: This post contains affiliate links. Although they have been added for your convenience, I do receive a small commission for items purchased via my links. Thank you. Beautiful and easy craft. Love it! 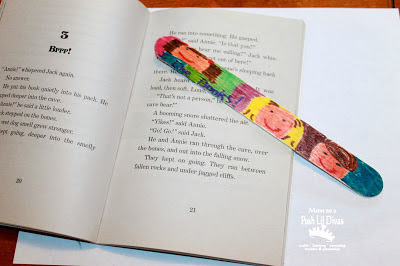 Perfect for a kids' book club I'm thinking!! They look great and so easy too! You can never have too many bookmarks. Oh this is such a great idea!! We will definitely be making some soon! :) Thanks for sharing! I love this idea! My little one loves to read but is constantly telling me that she is bored. I love the notion of giving her something artistic that is also useful.